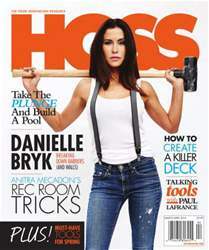 Featuring Danielle Bryk and her success in a male dominated industry. Also how to create that killer deck for summer, and rec room tricks from Anitra Mecadon. Take a look at our spring tools guide too and much more!